So I did not sleep on thanksgiving night. Instead I went to the outlets at midnight — BIG MISTAKE!! It took an hour to get through the initial traffic just to park. Then I had to wait in line at each store. Once I got in the stores I could not see anything because the check out lines wrapped around the clothes. I left empty handed. But I did not go to bed instead I went to the mall. The mall was also crazy. I bought one outfit but no Christmas presents. I finished off the morning at 4 A.M. at Target. I managed to get all my Christmas shopping done. Still, I went to bed at 6:30 A.M. I love the sales, but I am beginning to wonder whether or not it is worth it. I did a little bit of digging on other people’s experiences during black friday. I found that my late night did not come close to comparing. At a Wal-Mart a store employee was stomped to death by the crowd. Since this is a main source of communication for PR professionals it is important to be as efficient and effective as possible. E-mail allows professionals to speed up decisions making, send to multiple people, and send important documents more quickly than mail. A memo is a brief written message that can serve many different communication purposes to get a point across. Letters are best to communicate any message that needs to have a public record. Completeness – a message must contain enough information to serve its purpose. Conciseness – no one wants to take an hour to read a message; keep it to the point. Correctness – accuracy is key. Courtesy – you are writing personal messages, so be personal. Responsibility – understand how you will be perceived by the audience. Choosing a story — the story should be able to be told using media and graphics. A topic such as how a tornado is formed can be broken down step by step using media. Making a Storyboard — a story board is like a sketch of an outline. You have to define the elements and identify the media. Reporting the Multimedia — be prepared when you go out to report. Make sure you bring all your tools such as a laptop and a notebook. Edit for the web — keep the story short, use great quality sound and graphics, add animation and also include text. Producing the story — the web designer is the editor. It takes many templates (drafts) to get to the final product. This past week I listened to The Creative Career’s Generations in the Workplace. The podcast was done in the form of an interview with David Stillman the co-author of The M Factor: How the Millennial Generation is Rocking the Workplace. Parents now have a larger role in their children’s lives even when they are graduated and working. The generation seeks entitlement. They want to work their way up through a company. They also want meaning in their work. A job is not enough. This generation does not settle for the past office space. They want more direct communication with the big dogs. They do not like slow processes or cars. They want tasks to run more quickly. The millennials are familiar with social media. They use the media for communications and even to prove their worth in a job. They must also be able to collaborate with other workers and administrators. This podcast offered great tips for anyone going into this workplace. Since that will be me in a year and a half, I found it very helpful. I also like the idea that I am getting my advice from PR professionals. They not only have been through it before, but they also know what they want out of future employees. It is a great way to learn. Guess what? Extreme Makeover Home Edition has come to Savannah! Carmen and Jim Simpson constantly give back to their community. They have three kids Zoe, Katelyn and Isaac. Zoe was born with a life threatening disease. The crew wanted to work with the family to help improve their lives with a more suitable home for their family. The best part is Georgia Southern students got to volunteer. I helped work the media tent checking people in. At the end of the day I was able to sneak in to the construction zone. I was expecting to see a bunch of celebrities working on a house. What I saw was the community working on the house. It was great to know that the community is the one giving back to the amazing family. I know that a favorite part for many viewers is the “Move that Bus” scene. I tried to find a good clip of the scene, so you can get the inside scoop before the episode airs in January. Schools have now integrated new media into their curriculum. I am sure this class did not involve blogs or twitter five years a go. But now the class is completely online and my biggest project is this blog. Write for the proper audience. Have a vision or objective for the site. Use a copy writer for the text. Use a graphic artist for the design. Use a computer programmer for the actual website code. *Trust me I am in web page development now. If you need a programmer do not hesitate to get one. It is very difficult to learn how to program. Remember to make the site interactive. I know you like commenting on blogs. So allow for people to comment on your website. 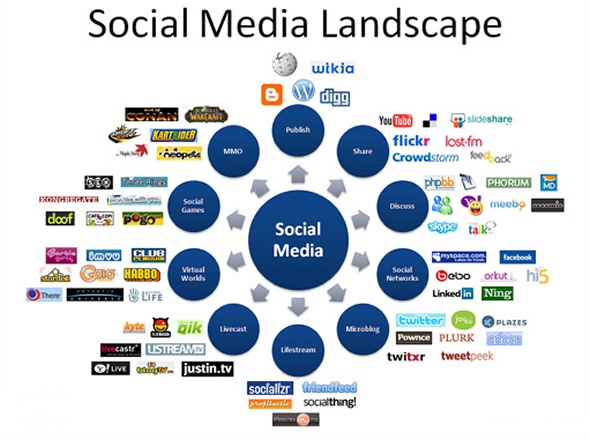 Social media news releases (SMPR) began because of a demand from the public. People who use news releases mostly journalists and bloggers wanted a more updated form. In 2006 Tom Foremski wrote a post called Die Press Release Die Die Die. He discussed what he wanted from a press release as an editor. He wanted tags, and links directly attached to the press release. He wanted a press release to completely change the narraitve constuction. The SMPR offers up the same information in a new variety of forms. The online release can allow for audio, video, pictures and links placed directly into the release. A PR professional should consider using a SMPR based on the audience and objective. If the PR professional is writing for an audience that does not use social media or many other internet tools, then there is little need for this kind of release. However in most cases, organizations use social media or at least base work off the internet. These organizations benefit from a SMPR because it is in the same format that they conduct their business. For example journalists can take specific quotes, pictures or even video clips and use them in print and online article s.
It is more difficult to find cons of the SMPR. I think the biggest is that not everyone is advanced in media. PR professionals should not lose the original skills to write traditional news releases. The traditional release is still a good tool to reach the laggards of social media. Verizon uses social media releases by incorporating charts, links, visuals and capabilities to view related podcasts. Apple uses SMPR to allow people to comment and share the information instantly. PROne online is a PR company that provides allows for organizations to easily create SMPR. The website even allows organizations to set up social media networks through the site. Here is a youtube video that provides a brief overview of what the site offers. Webit pr is another company that helps organizations build SMPR. They use realwire to create the release. This is a video explaining why webit pr has chosen social media news release. Here are some ways PR professionals drive journalists crazy. Journalists think PR professionals spin stories. Give journalists last minute stories before deadlines. Constantly bug journalists about stories. Press releases may not get to the point. PR topics may not be newsworthy. Press conferenced are not scheduled for the benifit of journalists. Journalists have trouble getting a hold of PR professionals. Some online news releases can be mistaken as spam. Some press releases may have unreliable sources. Check out this video mocking mac PC commercials. It is vitally important for PR professionals to keep good relationships with journalists. Here are some ways to work with journalists. Media Interviews – some advice interview the journalist first and remember to keep all the answers connected to your key message. News Conferences – may be used when a person of importance comes to town or when a matter of public concern needs to be explained. Media Tours – involves traveling do different cities to speak to the media. Preview or Party – for the opening of a new facility, the launch of a new product, or announcement of a new promotion. I would describe them as picture graphs. They are more than just a bar or pie chart. Infographics are more interesting and creative. They use a picture (graphic) to describe the information being displayed in the graphic. MSN provides a website called Good Infographics. I like this site because it shows the creative aspects of infographics. I am not a big fan of reading the news. This site takes the news and makes it into infographics. For example this is the infographic the site uses to talk about the rotarvirus. I think that this could be very helpful for PR professionals to use with clients. PR professionals can use infographics to plot out a more interesting timeline. They can also use it to spice of graphs used from research. The infographics will definitely give PR professionals a creative spin showing their talents off to the client. I feel like an infographic takes a lot of talent to create. So my advice with how to make one is have some sort of a graphic design background. If you want a tutorial, here is a video of a guy creating one himself.